New guests have been added to the Official Power Morphicon guest line-up! Check out whose coming on our list below! 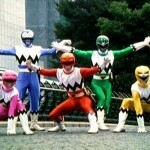 The Official Power Morphicon is coming very soon – less than two weeks! The show runs August 12th through the 14th. Please join us here at TokuNation.com in attending the event. Hope to see you at the show! It’s time for another gallery of a currently unreleased Power Rangers Super Megaforce Ranger Keys pack – a perfect way to make the end of your 2014 legendary! This Toku Toy Box Entry is of the yet to be released Operation Overdrive Key Pack B set, which features the Mercury Ranger, Yellow Ranger, and a translucent Red Ranger from Power Rangers Operation Overdrive. 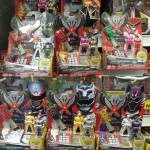 Because this is part of the Toku Toy Box Give Away which celebrates the three year anniversary of TokuNation.com, posting in this discussion thread enters you for a chance to win a giant Power Rangers prize package! All you have to do is be a registered member of the forums – don’t worry, we don’t give out your information. Plus you’ll be joining a premiere community to discuss all things tokusatsu – and let’s face it, no other site or community gives away as much stuff as we do to our members on a regular basis! So please, click here for the full gallery and to post for a chance to win! We took pictures of all the scan codes so you can use your mobile app on your smart phone to add these keys to your collection! We’ve also included the phrases they say on the Legendary Morpher! Come check it out and let us know if you’re planning to purchase this Ranger Key pack when (and if) it releases! If you haven’t yet, please check out our gallery of the unreleased Power Rangers Super Megaforce Ranger Keys – Wild Force Key Pack B – Gallery, and stay tuned for New Year’s Day when we release the gallery for the highly anticipated Lost Galaxy Key Pack B set, which includes the hotly wanted Magna Defender Ranger Key! 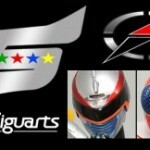 Alpha Hero Shock just posted a supposed release date info for S.H.Figuarts AkaRanger and Bouken Silver, the two prototypes were initially seen during Tamashi Nations. While the price is unknown for S.H.Figuarts Bouken Silver, he’ll see a November 2013 release.